After 30 years spent drilling through a four-kilometer-thick ice crust, researchers have finally broken through to a unique subglacial lake. Scientists are set to reveal its 20-million-year-old secrets, and imitate a quest to discover ET life. 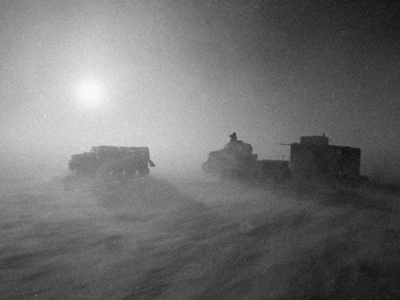 The Vostok project breathes an air of mystery and operates at the frontiers of human knowledge. The lake is one of the major discoveries in modern geography; drilling operations at such depths are unprecedented; never before has a geological project required such subtle technologies. 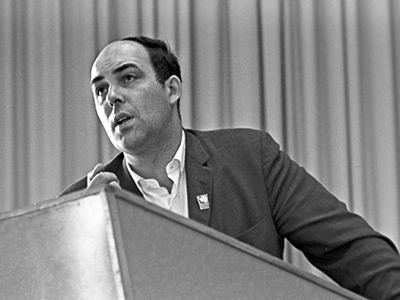 The main inspiration for the project – the Russian scientist who posited the lake’s existence – died just six months before the moment of contact with the lake’s surface. 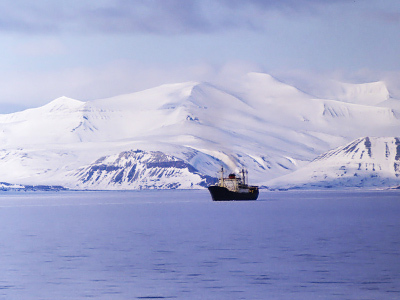 Now, the whole world is looking to Lake Vostok for crucial data which might help to predict climate change. 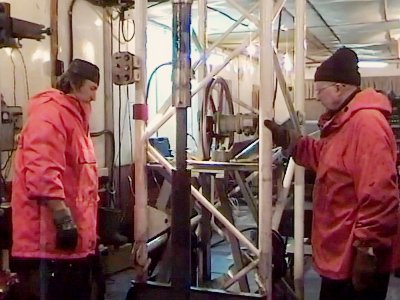 “Yesterday [on Sunday] our scientists at the Vostok polar station in the Antarctic completed drilling at depths of 3,768 meters and reached the surface of the subglacial lake,” RIA Novosti reported, quoting an unnamed Russian scientist. Meanwhile, Itar-Tass news agency says the scientists still have a few meters to go. 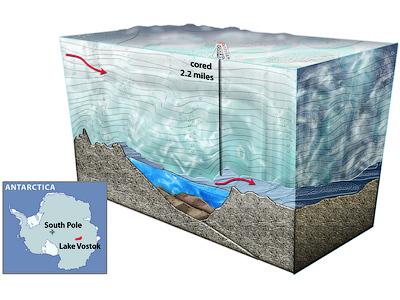 Lake Vostok is a unique closed ecosystem hidden under some four kilometers of ice. Its water has been isolated from the atmosphere – and therefore from any contact with the outside world – since before man existed. The key question for scientists is, could the lake harbour life? If some primitive bacteria or even more complex life-forms are found to have survived the isolation, it could offer an earth-shattering insight into our planet’s past. But if the lake proves to be a closed system devoid of any life, it would offer scientists the chance to test their theories on how to search for extra-terrestrial life on future space trips. Conditions in the lake are often described as “alien," as they resemble lakes on Jupiter's moon Europa. When drilling work began around Vostok Station in the Antarctic in the 1970s, scientists had no idea a mysterious lake lay under the massive ice sheet. It was only in 1996 that Russian specialists, supported by their British counterparts, discovered with sonar and satellite imaging what later proved to be one of the world’s largest freshwater reservoirs. In size, Lake Vostok matches Lake Ontario. However in 1998, drilling had to be halted just 130 meters from the lake’s surface after the alarm was raised over concerns that the ancient and unblemished waters risked being polluted if special precautions were not taken. The relevant technology was developed in 2003 in St. Petersburg. Work resumed in 2005 after tests. After the 24-hour-a-day drilling work is over, scientists are to take samples of lake water which penetrates through the crack. Specialists at the Russian Arctic and Antarctic Research Institute predict they will find “the only giant super-clean water system on the planet.” The pristine water will be “twice cleaner than double-distilled water,” they believe. The Vostok Antarctic research station is no Bali resort. Its temperatures average around –66 degrees Centigrade. Earth’s the lowest ever temperature was recorded there on July 21, 1983, when it hit –89.2 C.